However, how can IoT gain extreme benefits from Artificial Intelligence? This article will exactly shed some useful light on the practicalities of these two technologies thriving in sheer coherence. So let’s get started. As per the studies, results, and the statistical data, out of 95% surveyed enterprises, a huge percentage of the executives are expecting their respective companies to implement IoT in their work structure and technological framework within the next 3 years. However, only 3 quarters of them are approximately still “exploring” the new landscape. While the enterprises that are actually having a comprehensive IoT Strategy are restricted to just 7%. The gap between the practical strategies and perceived importance could possibly be a threat to the groups as commercial and consumer utilization of the connected devices surges. The prime reason for that data overflow is because of the everyday physical objects being used so frequently today. In this new era, they are becoming quickly identifiable which allows data and useful information from one context and a single device to seamlessly move to another. 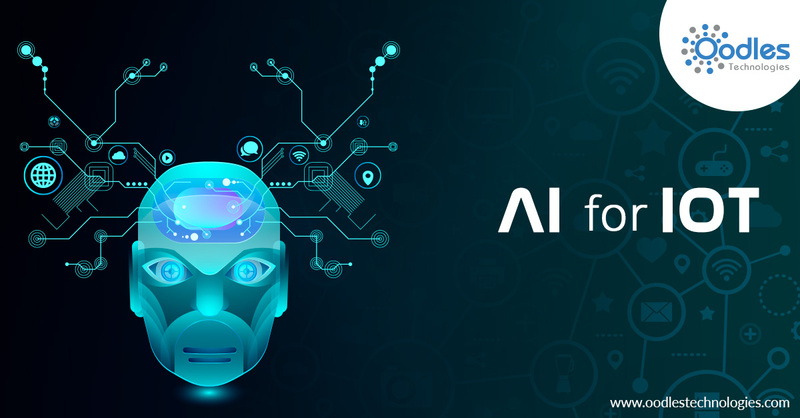 Although there is not enough right piping and plumbing to get it there, the AI can help you attain that computing capacity to a very large extent. Artificial Intelligence is the quintessential framework for “sensing, analyzing, and acting”, opening up unique possibilities and transferring the data from one to other devices without any known glitch. While both AI and IoT are in their early days, yet many businesses and enterprises are already implementing these technologies in order to transfigure their operations. Companies such as Uber and Siemens started leveraging IoT & AI to automate their production channels and offer an effortless experience for their users in the long run. Machine learning is a type of programming that validates a software “agent” with the prowess of figuring out the patterns in the data represented to it so that it can potentially learn from these pieces of information and transform its way of analyzing the data. We are already gaining a lot of benefits from implementing machine learning in our current practices and it is all set to empower the world of IoT as well. In the coming days, it is obvious that AI will facilitate the sole existence of IoT and assist greatly in the way it functions. What are your thoughts about Artificial Intelligence and IoT striving together? Let us know!